Quantum’s DYNA-FOIL™ fully retractable dual purpose fin stabilizer systems are the most technologically advanced in the world. 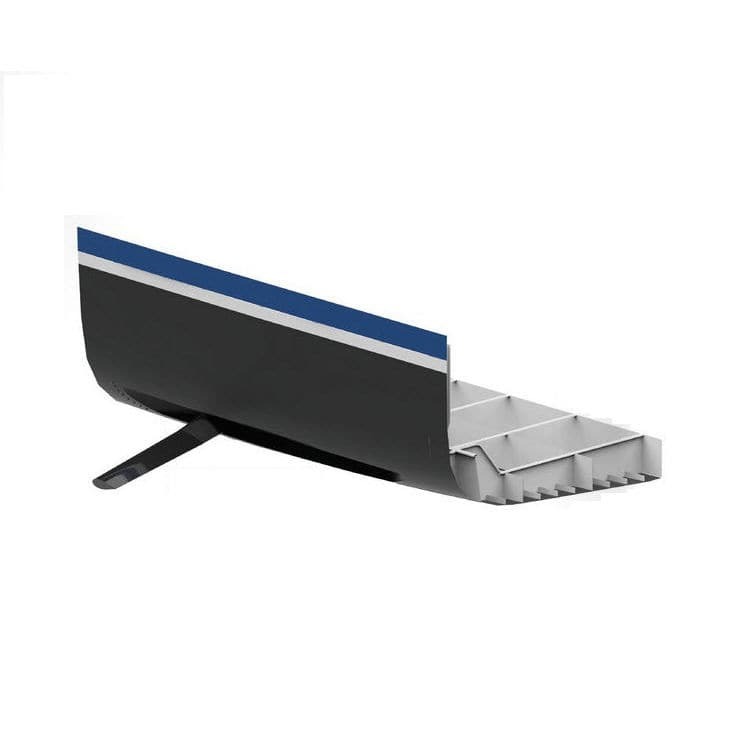 This revolutionary stabilizer system features a unique foil design that represents a revolutionary approach to fin stabilizer operating principles. The DYNA-FOIL™retractable fin creates a dynamic self-induced lift for outstanding ZeroSpeed™ operation and a highly efficient lift to drag coefficient for superior underway operations. The DYNA-FOIL™ active fin stabilizer systems underwent extensive third-party model testing by the MARIN (Marine Research Institute Netherlands) to assess the new stabilizer system’s performance at anchor or zero speed and underway relative to a traditional fixed fin stabilizer. Typically, fixed fin stabilizers are limited in size by the ship’s “beam-keel” envelope (hull envelope) creating a challenge for super yachts and large military vessels requiring very large fins for optimal stabilization. DYNA-FOIL™ stabilizers retract completely into a full pocket or to a parallel position to the hull (non-pocketed model) when not in use eliminating that restriction so larger vessels can enjoy a same smooth ride at zero speed and underway.